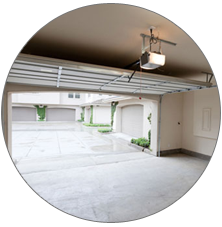 If your property has a garage, you may already be aware that without proper maintenance, your garage door will not function optimally. However, even after maintenance, there may be instances when you will have to seek garage door repair. Thankfully, you can rely on Top Notch Garage Door & Gates to provide the best garage door repair service in town. We are available to our residential and commercial customer not just in Newport Beach, but also in Aliso Viejo, Costa Mesa, Fountain Valley, Garden Grove, Huntington Beach, Irvine, Laguna Beach, Laguna Hills, Laguna Woods, Orange, Santa Ana, Seal Beach, Tustin, Tustin Foothills, and Westminster. We offer cost-effective, reliable, prompt and efficient gates and garage door repair solutions. Top Notch Garage Door & Gates ensures any problem with your garage door and gate is addressed quickly so that you do not face any inconvenience. You can rest assured knowing that our technicians are trained, certified, licensed and insured. They go for regular workshops and training sessions so that they are up-to-date on the latest techniques and methods of repairing garage doors and gates. This also gives them the knowledge and confidence to repair any type of garage door and gate. When you call us, we will schedule an appointment based on your convenience and ensure the problem is fixed quickly and at a cost that is pocket-friendly. At Top Notch Garage Door and Gates, we care about our customers. Our aim is to build a long-term relationship with our customers. We take pride in our stellar customer service, workmanship, efficiency, and pricing. Our pricing model is transparent. The quote that you receive at the start of the work will be the price you pay at the end, provided your garage door or gate does not require additional work. In case it does, we will never do anything without confirming it with you and our technicians will let you know the additional costs if any. 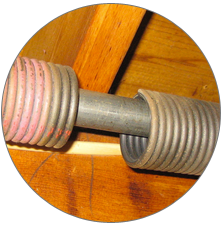 If your old garage door has completed its lifecycle, we can help you. We offer new garage door installation services. By going in for a new garage door, you will enhance the visual appeal of your home or commercial property. We will help you choose the right garage door that suits the architectural features of your property and also serves its purpose. In case you already have a garage door in mind, let us know about it. We would take up your request and install that door. 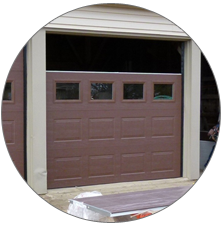 Alternatively, we also install custom garage doors so that properties have a personalized and unique look and feel. We also offer to install latest features on your garage door. For instance, we can install automated garage door opener and Wi-Fi or Smartphone-controlled door opener. Our new garage door installation is quick, efficient and affordable. We have the skills and expertise to install any type of garage door and make. This way, your property gets the protection it needs, and it also enjoys better convenience and aesthetics. We stand by our workmanship so you can rest assured knowing that the installation will be perfect. Our technicians are the best in this field and have access to the right tools and equipment to make the new garage door installation a hassle-free process. As garage door is a mechanical object, it will be subject to wear and tear with use. While preventive maintenance can help avert many problems with your garage door, there will be some issues and niggles that will require repair. You can depend on Top Notch Garage Door & Gates to provide you with prompt garage door repair. Our technicians will visit your property prepared to undertake any type of garage door repair. So, you never have to worry about wasted time. We also ensure our commercial clients enjoy after-business-hours service so that they face minimal disruption in their business affairs. Top Notch Garage Door & Gates also provides emergency garage door repair to residential and commercial customers. In case the problem lies with individual components of the garage door, our technicians will let you know. 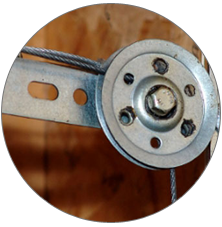 Whether it is garage door spring repair or the garage door dented panel repair, our technicians are skilled enough to provide the ideal repair solution at an economical price. Remember, you should not attempt to repair a garage door on your own as it can be dangerous without the right tools, equipment and knowledge. 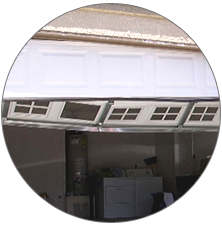 We are experienced and have the necessary hardware to ensure the best garage door repair service in town. If you have a problem with your garage door, Top Notch Garage Door & Gates has the right repair solution. The garage door opener helps in opening and closing the garage door. So, if it malfunctions or stops working, it can be a major inconvenience. Top Notch Garage Door & Gates can come to your rescue in such instances. We provide prompt and effective garage door opener repair service in Newport Beach. 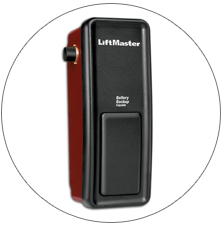 We have the expertise and knowledge to repair and install Jackshaft garage door opener to tackle your garage door opener problems. When you call us, our technicians will carefully inspect your garage door and the opening and closing mechanism. This allows them to figure out where the problem lies in the garage door opener and then work quickly to fix the issue. We also provide new garage door opener installation. With Top Notch Garage Door & Gates, you have no reason to worry. 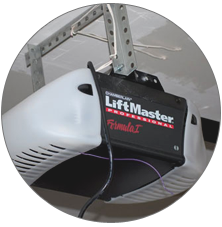 If the garage door opener cannot be fixed, our technicians will immediately offer new garage door opener installation. Once you give us the go-ahead, the installation will be done within no time so that you no longer face any inconvenience. Our quick and aesthetically pleasing handiwork will leave you impressed and you will realize why we are the most sought-after garage door opener repair and installation service in the area. A driveway gate improves the aesthetics of a property. It also helps to demarcate the property and keep unwanted people out. Just like garage doors, even gates can begin showing signs of wear and tear with time. If you notice that the gate is not functioning optimally, don’t wait. Instead, call Top Notch Garage Door & Gates right away. Our technicians will check the problem and ensure stellar gate repair. 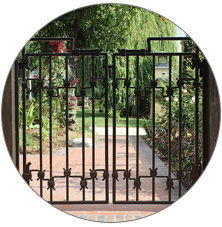 We provide exceptional gate repair solutions and we ensure that any problem with the gate is addressed on a war footing so that you have no reason to worry. We will also give you tips on gate care so that you can minimize chances of a problem and also increase the longevity of your gate. If a commercial garage door does not work optimally or starts malfunction, it can cause a major headache. There will be safety issues as an improperly working commercial garage door is an open invitation to intruders. That is why you should make haste and contact us. Our technicians have the knowledge and expertise to carry out all types of commercial garage door repair. Repairing jammed doors, damaged tracks and broken cables are something we do very well and quickly and ensure your commercial garage door operation is restored within no time. We also offer commercial roll-up doors installation and repair as a part of our unique commercial garage door repair and installation service. We have a range of brand new commercial roll-up doors that we can match to your commercial establishment’s setup and architecture. 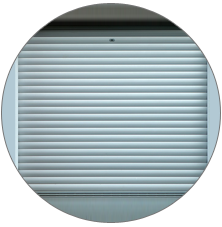 Besides installing the door, we also provide commercial roll-up door maintenance to ensure you don’t have a problem with the functioning of the door in the future. We serve Newport Beach besides Aliso Viejo, Costa Mesa, Fountain Valley, Garden Grove, Huntington Beach, Irvine, Laguna Beach, Laguna Hills, Laguna Woods, Orange, Santa Ana, Seal Beach, Tustin, Tustin Foothills, Westminster, and surrounding areas. For any issue with garage doors and gates, get in touch with Top Notch Garage Door & Gates. You can reach us at 714-515-8123 for residential garage door repair and installation, gate repair and installation, and commercial garage door repair and installation. You will be pleasantly surprised with our customer-oriented services.